A long Winter and now it's Spring. 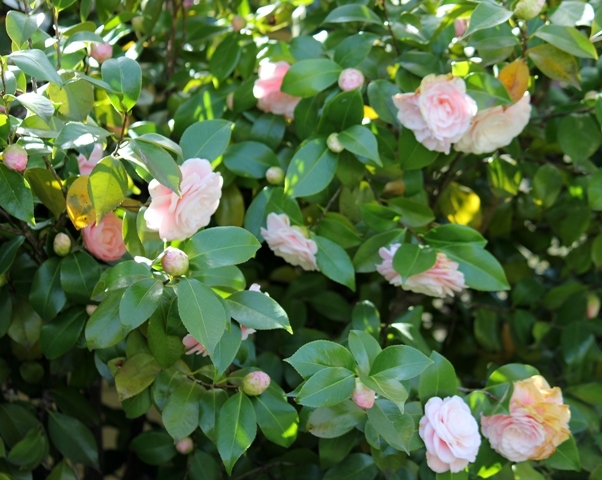 In February the Camellia Tree had very few blooms. I did manage to go out in the pouring rain and cut a few blooms for the Old English Tea Pot post. Now it's April and the sun is shining, the birds are tweeting, and I'm outside taking photos of my Blooming Camellia Tree. 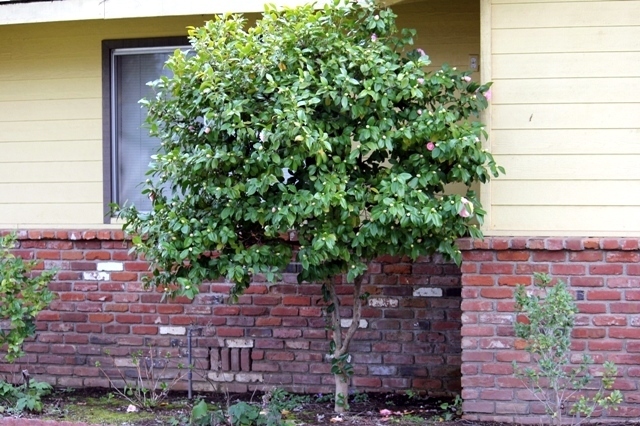 I planted this Camellia 35 years ago. 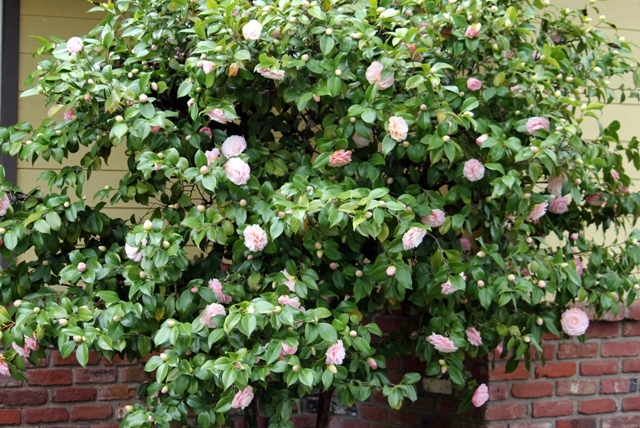 I wanted this Pink Camellia because the neighbor to the right of the house had the most beautiful Pink Camellia and I wanted one too. I adore this bloom with the single petals layering to the center. And the ice pink color is fabulous. The brown on the bloom is from the continuous rain on the flower. My passion is growing flowers and to have the first week of spring bring the enjoyment of this beautiful plant into my existence in amazing. 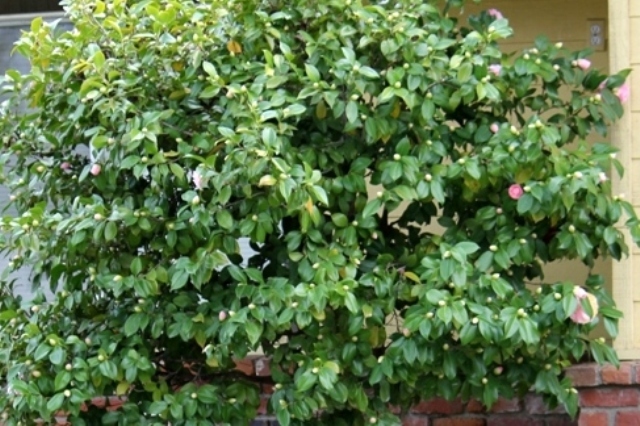 The Camellia will only survive on the North side of the house because of the intense heat in the summer. If exposed to the sun it would soon cook the poor plant. 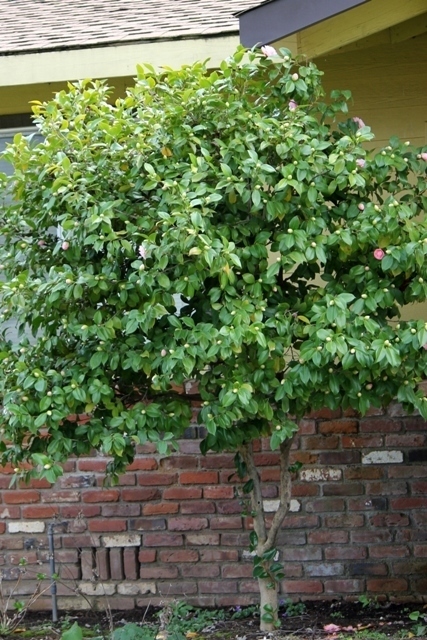 When I planted this Camellia I tucked it under the eve of the roof to protect it from the hot afternoon sun. And it has been very happy here for a good many years. I'm joining some of the most awesome parties this week. Please use the link I provided to return to the parties and enjoy more fabulous ideas and photography. and Bless the wonderful friends that comment or just come and take a look at What I love to do everyday. It must be wonderful to sit under this tree. 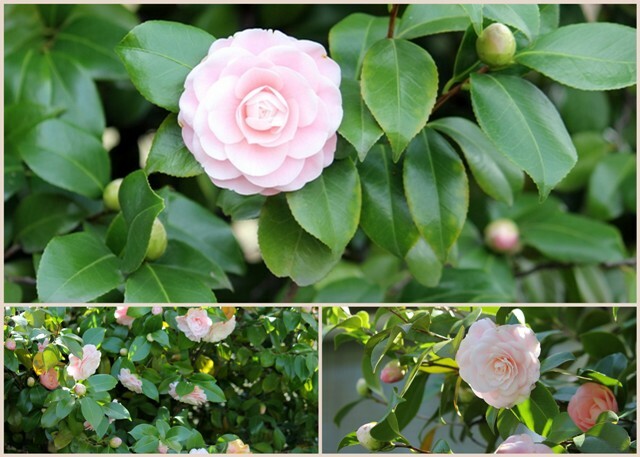 It is such a beautiful camellia! Thank you for sharing this great photos! 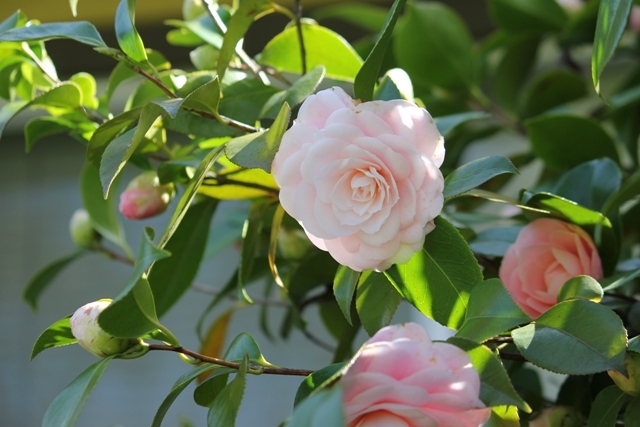 Your camellias are so very pretty. Love the pink! My favorite camellia! It looks just like my Grandmother's Pink Perfection. I would love to find one like it. You're lucky to have such a gorgeous tree. 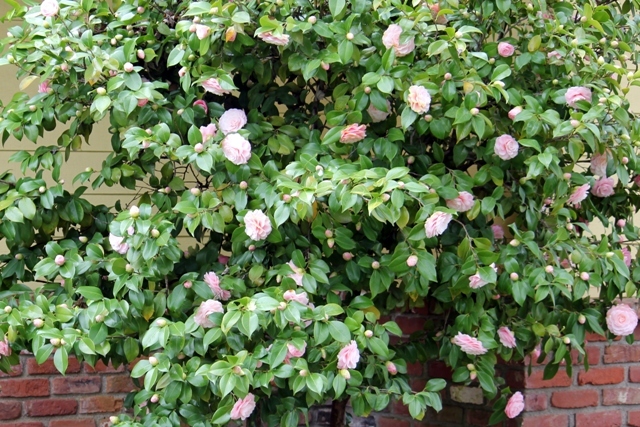 Hi Betty - I adore camelias, and love your pink camelias. They are so delicate and gorgeous! Thanks for visiting my blog and Happy Monday! 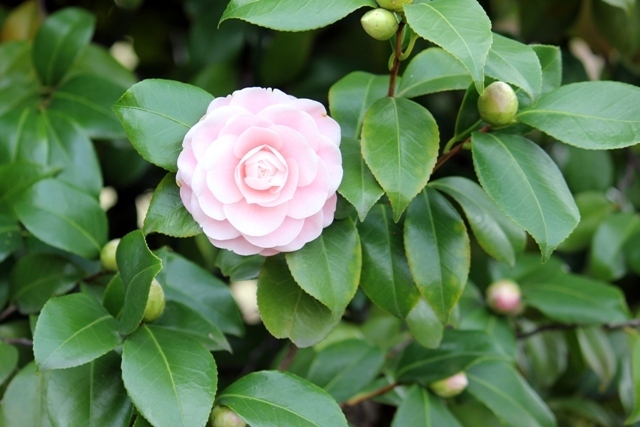 Your camelia is gorgeous. I so wish to want a pink and white one... I'm planning to get rid of some of my numerous hazelnut trees in a few years to plant those dramed-of camelias instead... Yours definitely make me want to do this. I know that camellias can be fussy - yours is just gorgeous! Just gorgeous!! I wish I could grow them. That pink is such a delicate color! Just gorgeous!